Search for the best flight prices from Manchester to Boa Vista. Compare prices, book today and save money with Manchester Airport. Boa Vista is Portuguese for 'good view' and you can take this translation literally, as the azure sea stretches away from miles and miles of unspoilt golden sand. 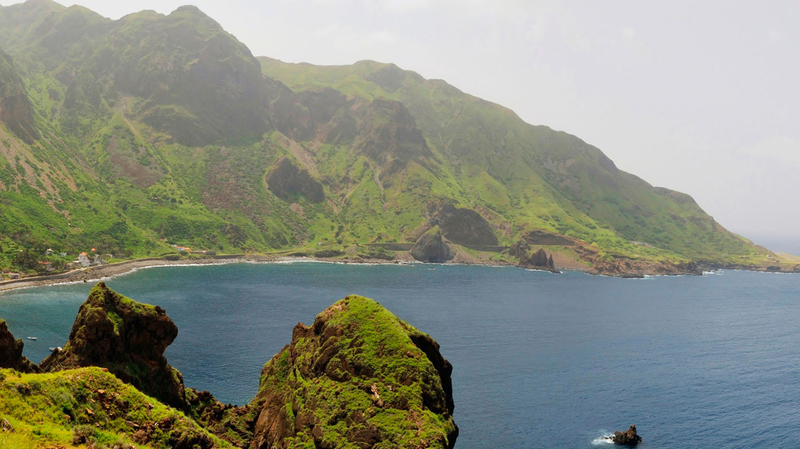 This is the most eastern of the Cape Verde chain, a mere 300 or so miles from West Africa. Inland, there's a mix of dry desert, forests and valleys, but the beach is where you'll see all the action, including dolphins and turtles. Many hotels capitalise on Boa Vista's dream-like expanses of milky sands and lapping waters. In central Sal Rei, on Boa Vista's north western coast, lay your head at Hotel Boa Vista (Avenida 4 de Julho). This modest hotel in the centre of Sal Rei is just 200m from the beach, and offers cheerful rooms, air conditioning and Wi-Fi. For a light and airy eco lodge with its own private stretch of beach, there's Spinguera Ecolodge (Espingueira). This rejuvenated fishermen and farmers' settlement is a unique set up with simple style set amid the Norte National Park. In the main town Sal Rei, it is possible to pick up the majority of basic provisions. It is worth knowing that most shops shut at lunchtime on Saturday, and remain closed until Monday morning. Beach clothing basics can be picked up here and there, and you'll find local artists selling their pictures and crafts at various little stalls and shops throughout town. The Municipal Mercado in the main square is the place to pick up fresh fruit and veg, and, if you've got cooking facilities, there's no fresher way to dine than buying the day's catch straight from the hands of returning fishermen. Fresh fish and seafood dishes are the stars of the show when dining out on Boa Vista. The highest concentration of eateries can be enjoyed in Sal Rei, such as Blu Marlin on the main square – a really good spot for local fish dishes featuring the catch of the day. Looking out over the harbour, find Grill Luar, filled with locals tucking into plates of fish. Naida is one of the oldest restaurants on the island, while Esplanada Municaipal Silves is a good spot for light meals and snacks – things liven up with dancing and music at weekends. Like most places across the world, Boa Vista rings in the New Year with large amounts of celebration and cheer. Sal Rei in particular sees lots of revelry and dancing – it won't be hard to find new friends to celebrate with. This festival takes place in Joao Galego, Funda das Figueiras and Cabeca dos Tarafes, and features lively musicians and numerous dances and social gatherings. Cape Verde welcomes carnival fever in the February sunshine. On Boa Vista, festivities and general revelry erupt across the island, with a main carnival celebration focused in Sal Rei. The event is characterised by colourful costumes, floats, and lots and lots of music and dancing. Islanders from the region come to Boa Visa for activities such as horse and boat racing, football and dancing. There is also a sacred mass, preceded by a ceremony of boats in the Bay of Sal Rei. In the third week of August, the Festival of Music of Praia de Santa Cruz draws musical types from across the island and beyond for a lively aural extravaganza. If you decide to venture off the beach to explore the island of Boa Vista then, hiring a car is a great way to get about. You might want to consider a 4x4 though, as not all of the roads are tarmacked! Booking your rental car abroad can be done in 3 easy steps and so has never been easier. Book now.